Although condos only make up about 10 percent of the Cloverdale real estate market, the array of units that buyers have to choose from is gorgeous. The curb appeal of the modern buildings with colourful and prestigious exteriors is matched only by the interior beauty of Cloverdale condos for sale. Furthermore, the number of upscale apartment and condo buildings within the community continues to increase. Plus, with a wide variety of floor plans, unit sizes, and building amenities now available, more Cloverdale residents are favouring these types of homes as a viable and affordable alternative to single-family homes. Discover more benefits of Cloverdale condos in the details of the listings below or in the additional info further down the page. If you haven't already, you should strongly consider registering with Robbie Johal to make your home search easier. Registration is free and you'll be able to use customized search tools, save your favourite properties for future visits to this site, and receive email alerts when new homes that meet your specified needs become available. 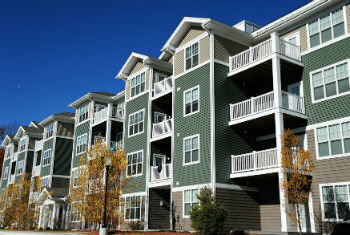 Cloverdale condos for sale range in price considerably, depending mainly on the size of the unit. The starting price is around $150,000 for one bedroom, one bathroom units in older buildings—constructed in the 1970s and 80s—and can reach $700,000 for two bedroom, two bathroom units in sleek, new buildings. However, you can also find two-bedrooms units listed at less than $250,000 in buildings that are nearly as sought after as the modern new builds. This makes Cloverdale condos among the most affordable homes in Greater Vancouver when you consider how hot the Surrey real estate market it and how desirable the Cloverdale area is, especially in neighbourhoods like Clayton. The amenities in many of the condo complexes in Cloverdale, particularly the newer buildings, are also a huge draw for many potential buyers. Most buildings include underground parking, high-end fitness centres, resort-style lounges, heated swimming pools, and saunas. Of course, living in Cloverdale is a big amenity in itself. All residents live in close proximity to some of the best parks and outdoor recreation opportunities in the Fraser Valley. In fact, Cloverdale boasts well over 30 parks, from forested areas like North Creek Park to the excellent sports facilities at the Cloverdale Athletic Park to the Clayton Dog Park, which is the only park in Surrey to have separate play areas for small and large dogs. There are also plenty of options in Cloverdale for shopping, restaurants, and entertainment, and getting around quickly is easy with Highway 15, 10, and the Fraser Highway all passing through the area. 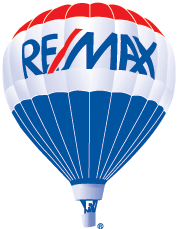 If reading about Cloverdale condos or browsing through our current listings has intrigued you, contact Cloverdale real estate expert Robbie Johal today! If you'd like to learn more about Cloverdale condos for sale or schedule an appointment to look at one of these wonderful buildings, get in touch with Robbie Johal today! Those who are also interested in Cloverdale townhomes and detached homes can view listings for those types of homes as well.